SB 76 – Increasing filings so only the elite can run? Calls Needed! OK-SAFE, Inc. – As evidence of the attempt by the “economic elite” to block everyday people from filing for office in Oklahoma, we have SB 76, by Russ of the House/Fields of the Senate. SB 76 increases various filing fees for candidates by 200%, 300%, and more. Unfortunately, this bill has already passed the Senate and is now in the House Appropriations and Budget committee. It is scheduled to be heard Wed. 3/27/13 at 4:30 pm. Emails/Calls are needed today to stop this bill from getting the House floor. And adds a $1000 filing fee to run for the following state-wide offices: Lt. Gov., Corp. Commission, Attorney General, State Auditor, State Public School Superintendent, Treasurer, and Insurance Commissioner. So, is this an attempt to prevent another Jim Bridenstine from being elected to office? Or, since the governor couldn’t increase the stable of appointments to statewide offices, is it an attempt to price the people out participating in the process and assuring representation? Regardless, the proposed level increase of filing fees is egregious and insensitive to the needs of the people of Oklahoma. Anderson, Ballenger, Bass, Brecheen, Burrage, Coates, Dahm, Ellis, Ivester, Johnson (C.), McAffrey, Paddack, Shaw, Shortey, Shumate, Sparks, Sykes. Bills Stopped by “Conservative” Republican Leadership in 2013 — Flyer Format to Share! The OHIET is busy implementing the IT infrastructure in OK that makes “Obama Care” work. It is the other “exchange”. Senate Action: This bill failed in the Health and Human Services Committees by a vote of 4-4. Although this committee has a Republican majority, two Republicans (Griffin, Coates) joined two progressive Democrats in voting against this anti-“Obama Care” bill, preventing it’s advancement. Tulsa County GOP Convention on March 23, 2013. 17 Thus says the Lord, your Redeemer, the Holy One of Israel, “I am the Lord your God, who teaches you to profit, Who leads you in the way you should go. 10 Finally, be strong in the Lord and in the strength of His might. 11 Put on the full armor of God, so that you will be able to stand firm against the schemes of the devil. 12 For our struggle is not against flesh and blood, but against the rulers, against the powers, against the world forces of this darkness, against the spiritual forces of wickedness in the heavenly places. 13 Therefore, take up the full armor of God, so that you will be able to resist in the evil day, and having done everything, to stand firm. 16 in addition to all, taking up the shield of faith with which you will be able to extinguish all the flaming arrows of the evil one. 17 And take the helmet of salvation, and the sword of the Spirit, which is the word of God. It is a good time to refresh ourselves with God’s Word. And to be in prayer for our pastors, our families, and ourselves, so that we may do what is right in the eyes of our Lord. Another way of saying we’re kicking the can down the road – again. The correct position was to vote against the resolution and defund such things as the Patient Protection and (Un)Affordable Care Act, aka “Obama Care”. The correct position was to take a stand and vote to do the right thing. March 6, 2013 votes on H.R. 933: 267 Ayes/151 Nays/13 Not Voting. The Nays included 14 Republicans, one of whom was OK Congressman Jim Bridenstine. Dist. 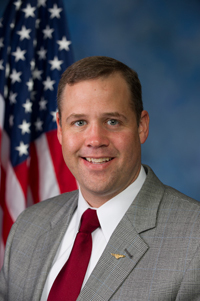 1 – Jim Bridenstine – Voted Against the Continuing Resolution. This was the correct vote. Washington, DC, March 6, 2013 – Congressman Jim Bridenstine voted against the “Continuing Resolution” in the U.S. House of Representatives today. The Continuing Resolution (CR) is legislation whereby Congress authorizes continued funding of government operations in the absence of a budget. The Obama Administration has not submitted a budget as required by law, so Congress must act to appropriate funds. Congressman Bridenstine has no desire to “shut down the government” but saw this up or down vote as a strong opportunity to de-fund implementation of the widely unpopular and expensive Obamacare programs. Rest of Bridenstine’s statement is here. Washington D.C. – March, 6 2013 – Today Congress approved H. R. 933, the Department of Defense, Military Construction, and Veterans Affairs and Full-Year Continuing Appropriations Act, 2013, a Continuing Resolution (CR) to fund government operations. The bill passed by a vote of 267 – 151. 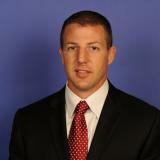 Rest of Mullin’s statement is here. 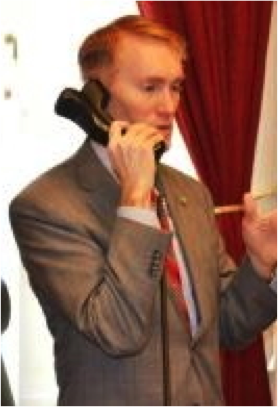 Lankford website statement – silence. There is no statement on this vote on Congressman Lankford’s website. A call to Lankford’s office resulted in being put in touch with a Kelly Ferguson; one of Ms. Ferguson’s questions was why were we looking for a statement on this vote? Ferguson went on to say she would get with the Congressman and see whether he wanted to issue a statement on his vote or not. If he does, we will update this blog post with that information. 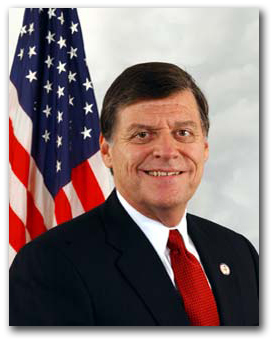 WASHINGTON, D.C. – Congressman Tom Cole (OK-04) released the following statement after the House passed H.R. 933, the Department of Defense, Military Construction and Veterans Affairs, and Full-Year Continuing Appropriations Act of 2013. The bill will fund the government through the end of the fiscal year in September, replacing the temporary funding measure that expires March 26. Additionally, the legislation maintains sequestration cuts while providing the Department of Defense and the Department of Veterans Affairs greater flexibility to cut spending without jeopardizing military readiness or the health and well-being of our veterans. “This legislation is a responsible approach that cuts spending, avoids the threat of a government shutdown, and protects our military capability. Rest of Cole’s statement is here. Website statement on this vote – silence. A call the Congressman Lucas’ office resulted in a vague statement by an aide that there would probably be a statement posted today. The aide went on to justify Lucas’ vote for the continuing resolution, otherwise “government would have shut down”. On continuing to use the threat of “government shutting down” as justification for passing this type of resolution simply continues to delay what should be done to correct the situation we’re in – namely, operating without a budget. Instead of taking a position and moving toward forcing the creation of a budget, and defunding “ObamaCare”, four of Oklahoma’s delegation blinked. Now, who should be primaried? March 6, 2013 C-SPAN ongoing coverage of Sen. Rand Paul (R-KY) filibuster John Brennan CIA Nomination. Includes at length commentary on the using drones over U.S. soil and targeting of American citizens on American soil. One can only hope that the federal funding information will include details about federal grants – the title of the grant and issuing agency, the state agency/entity requesting the grant, amount of disbursement, and expenditure information. OKLAHOMA CITY – Oklahoma taxpayers now have a quick and easy way to examine state government’s spending with the “Oklahoma Treasury Online Checkbook” launched today by State Treasurer Ken Miller. “Banks give their customers online access to their accounts; it only makes sense for the state’s chief financial officer to provide the same access to Oklahoma taxpayers,” Miller told reporters during a State Capitol news conference on Friday. The state’s checkbook register can be found by clicking on the online checkbook graphic on Treasurer Miller’s homepage, www.treasurer.ok.gov. Information can be found on expenditures and collections by function of government or by agency. Payments to businesses and state employees are included and can be viewed collectively or searched by individual. 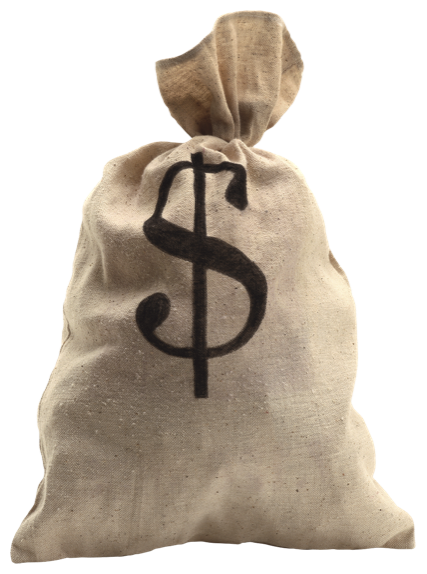 Deposits include total receipts by day and by agency, but do not disclose the names of taxpayers. “This user-friendly tool, which many will find is as easy to use as their own checkbook, is a great complement to Open Books,” Miller said. To demonstrate the ease of using the site, Miller showed reporters how to search for information by looking up payments by the state treasurer’s office. In about a minute, Miller was able to pull a report of all payments made in December by the agency he heads. The online checkbook contains almost six million expenditures made since July 2007 and some 200,000 entries of revenue collections since April 2010. This new functionality was made possible in part by the provisions of House Bill 1086, which required electronic payment of vendor invoices, eliminating the need to print thousands of traditional checks. The House author of HB 1086, State Rep. Jason Murphey, R-Guthrie, praised the new service. 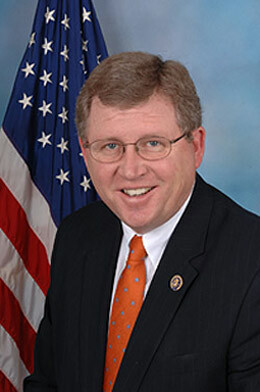 When Miller served as the House Appropriations and Budget Committee chairman, he authored legislation enhancing the state’s Open Books website. “The launch of this online checkbook is a natural progression of the partnership Senator Jolley, Representative Murphey, myself and many others began years ago and it is a step forward in providing increased government accountability,” Miller said. Miller said additional financial data will be added in the coming months. “We will bring more information online as state financial systems are further unified,” he said. Once work is complete on upgrades of the state’s cash management and electronic payment and deposit software programs, information on public assistance, pension, unemployment and Medicaid payments will be added to the online checkbook. However, recipient information will be blocked to protect the privacy of the individuals receiving the payments. Work is also underway to incorporate the receipt of federal funds into the automated reporting system. The Oklahoma Treasury Online Checkbook was developed for the treasurer’s office under an interagency agreement with the Information Services Division of the Office of Management and Enterprise Services. OK-SAFE provides a wealth of information on a variety of topics. Radio Show on Truth in Focus - "America in the Balance"